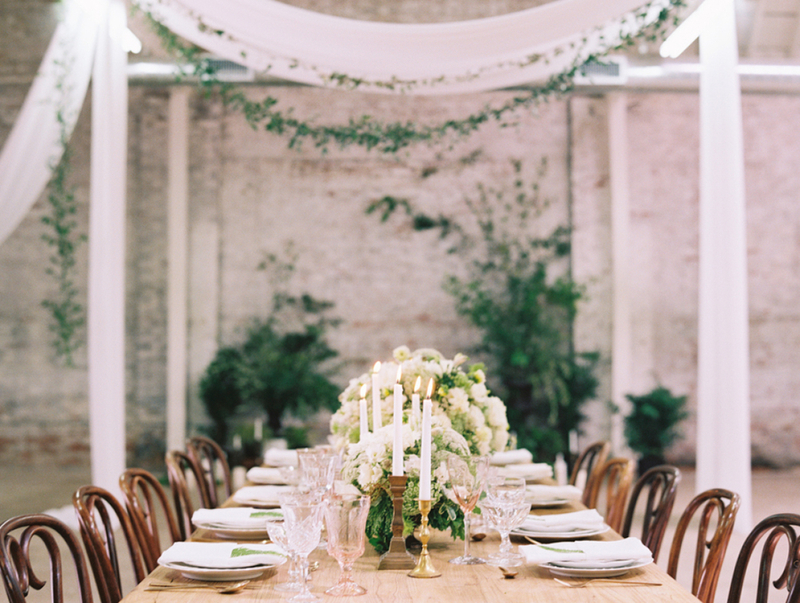 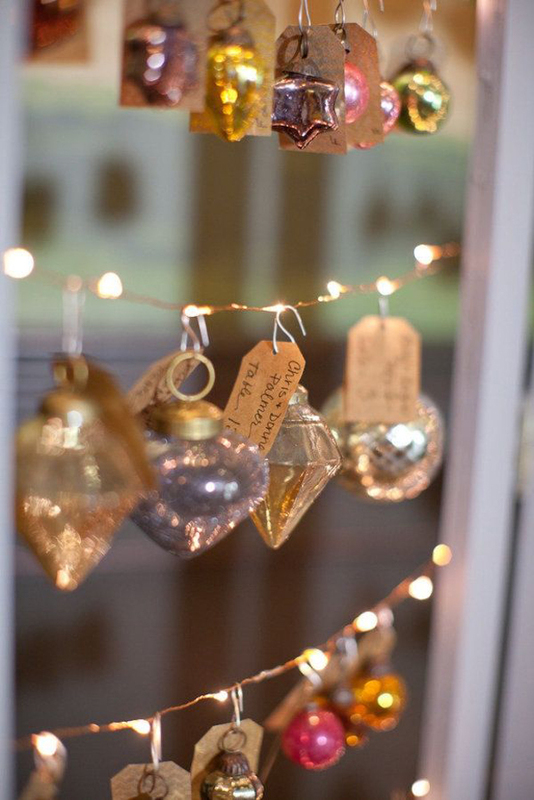 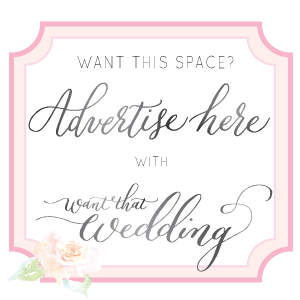 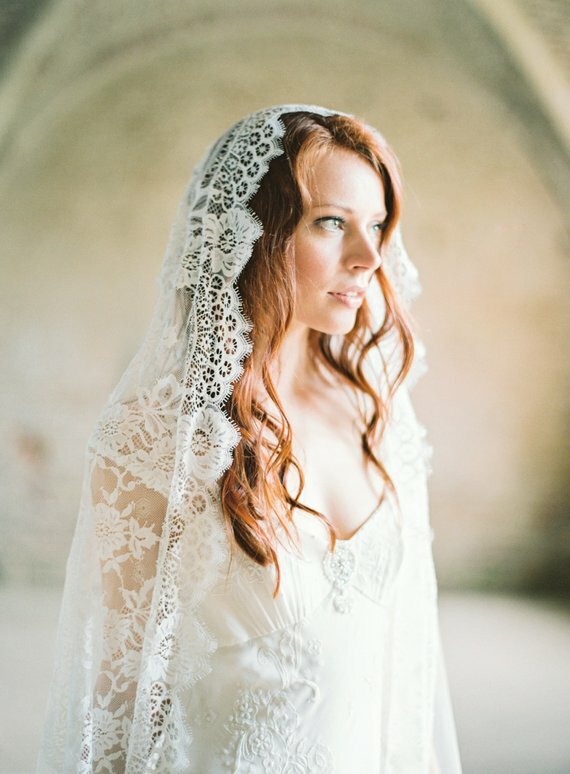 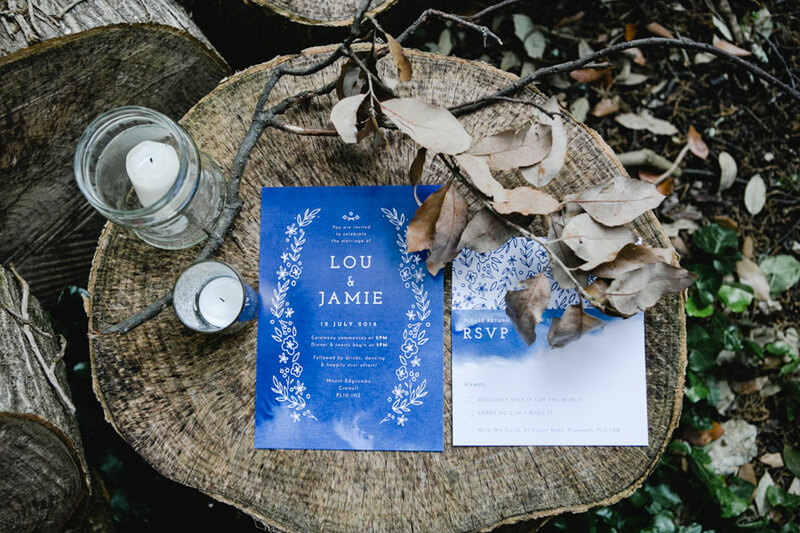 This team of creative wedding suppliers have joined forces to create not one but two inspirational looks. 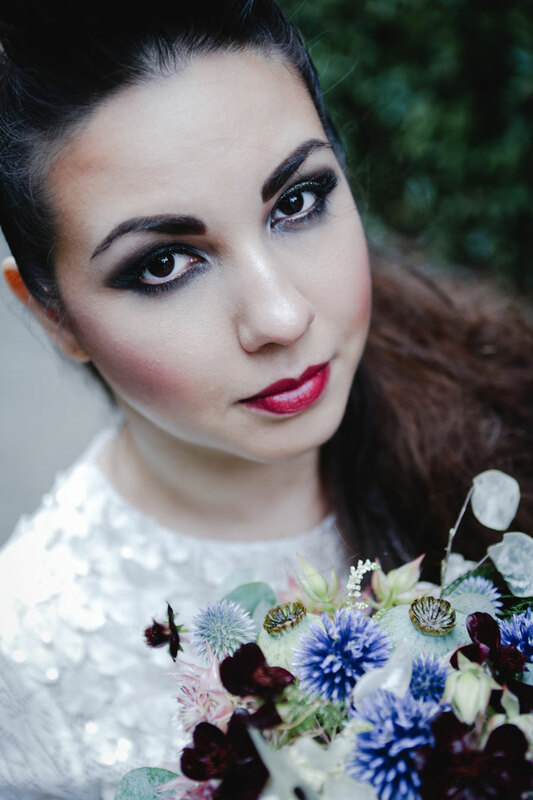 Words and images bu Upart Photography. 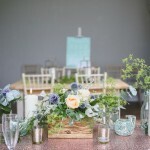 Working at the same venue, the stunning Orangery at Mount Edgcumbe Country Park in coastal Cornwall, on the same day and even using the same model (yes, really that is the same model) this team styled two completely different wedding looks. 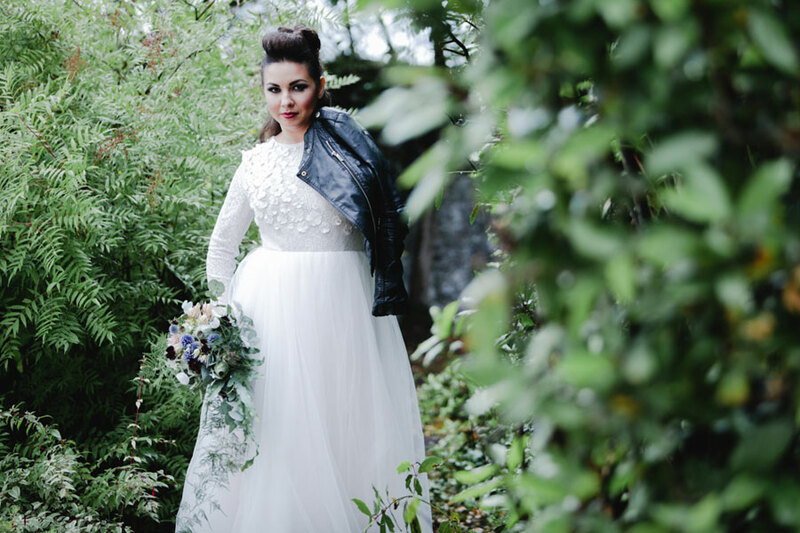 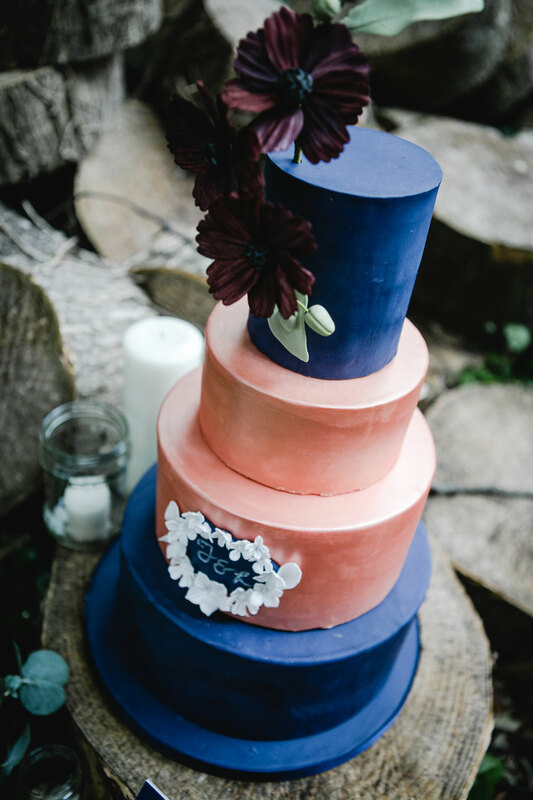 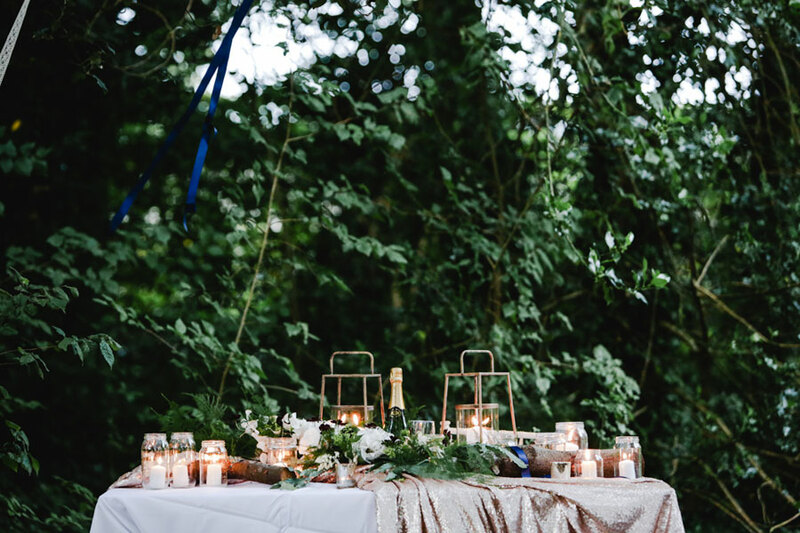 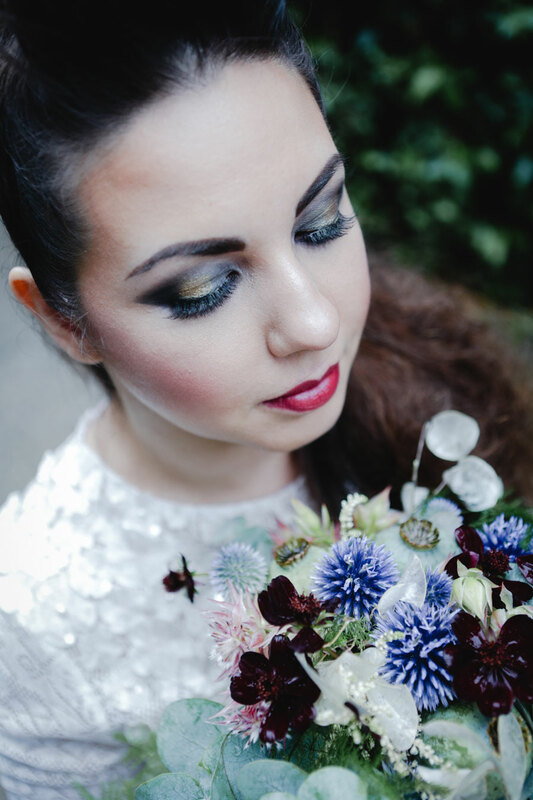 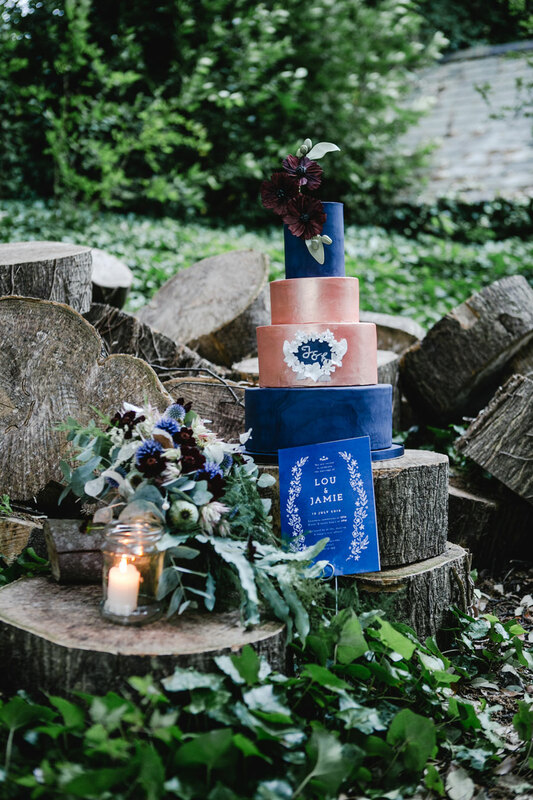 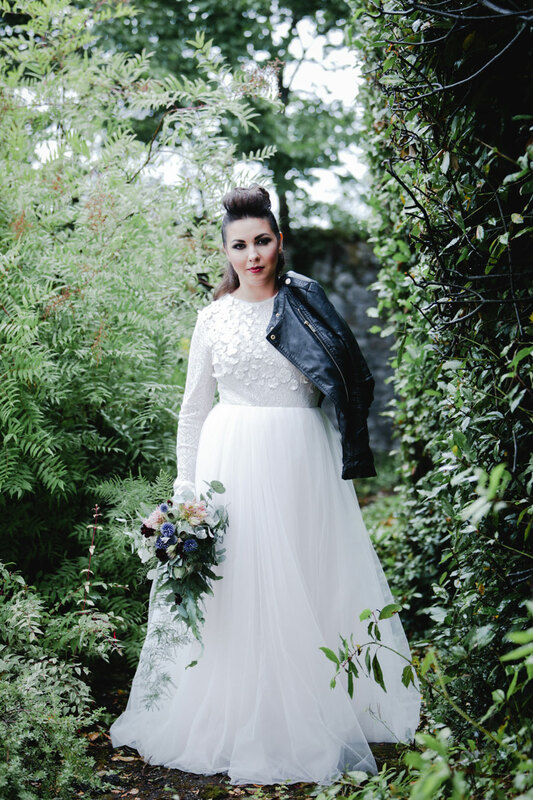 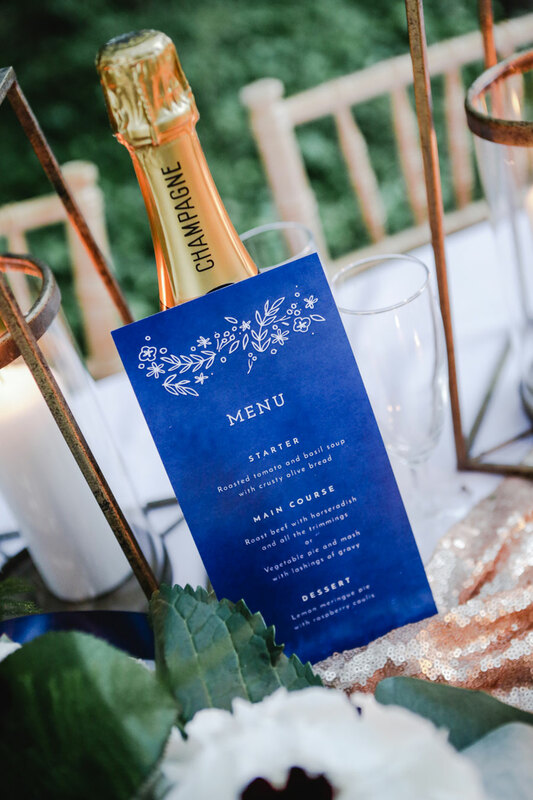 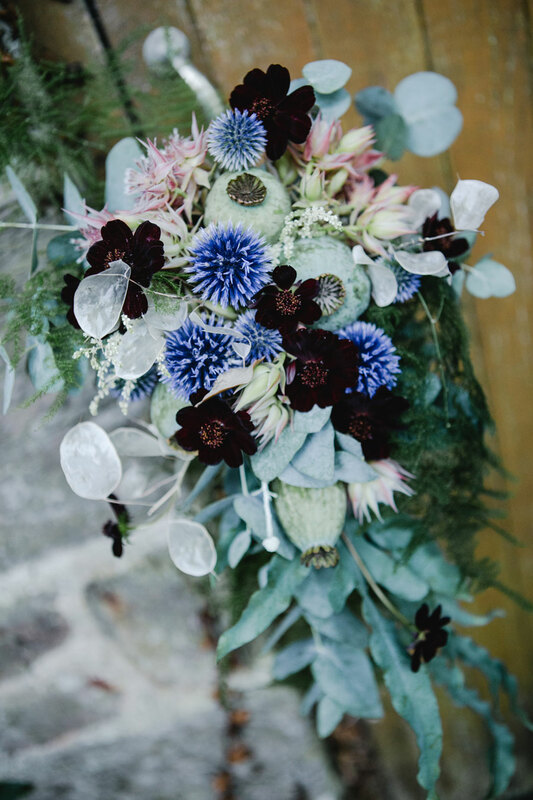 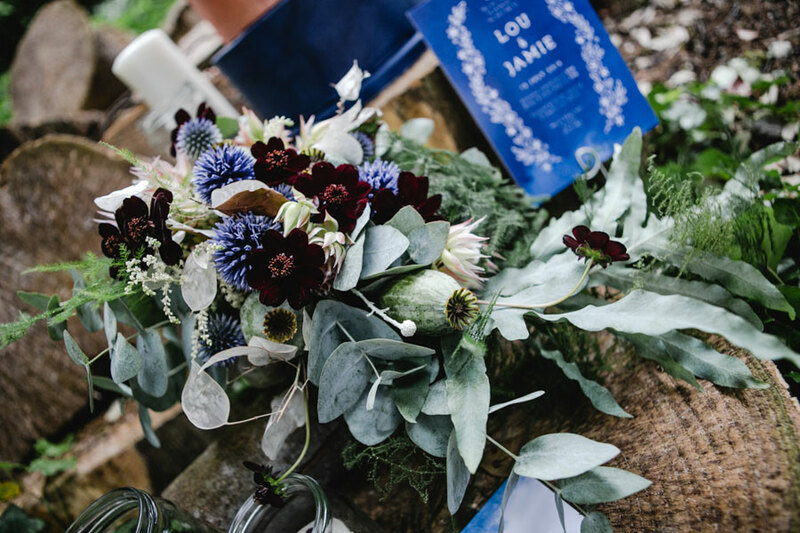 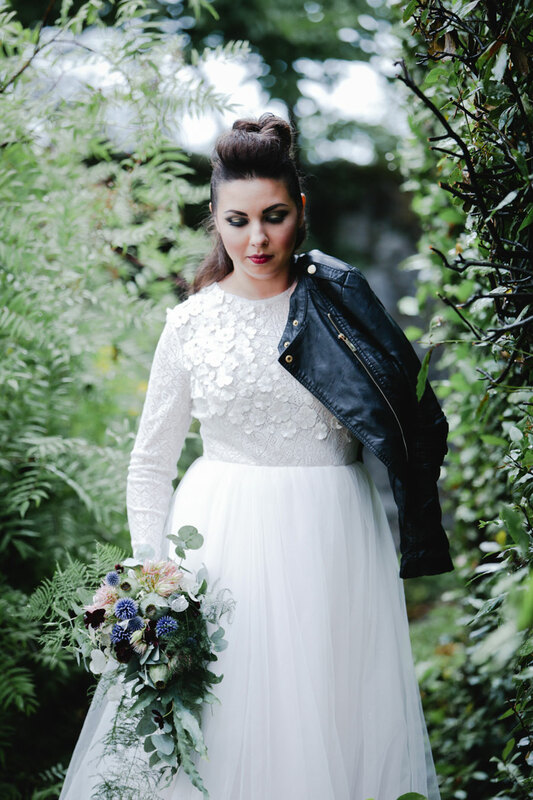 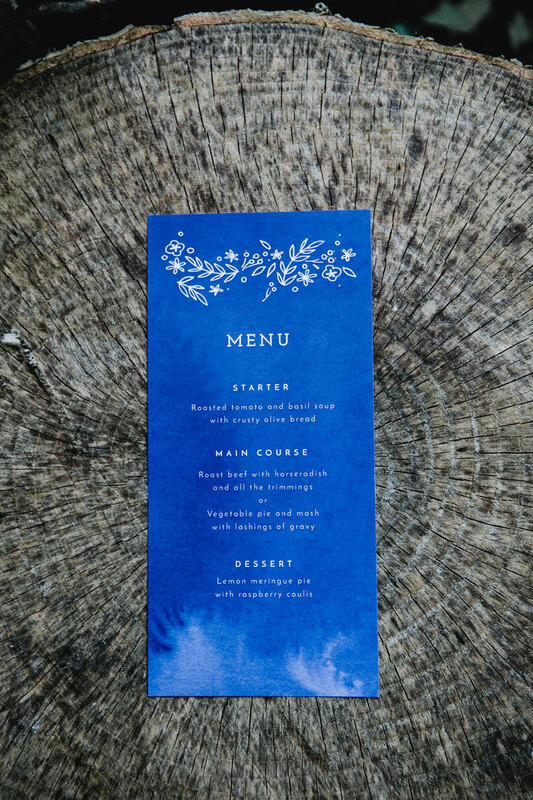 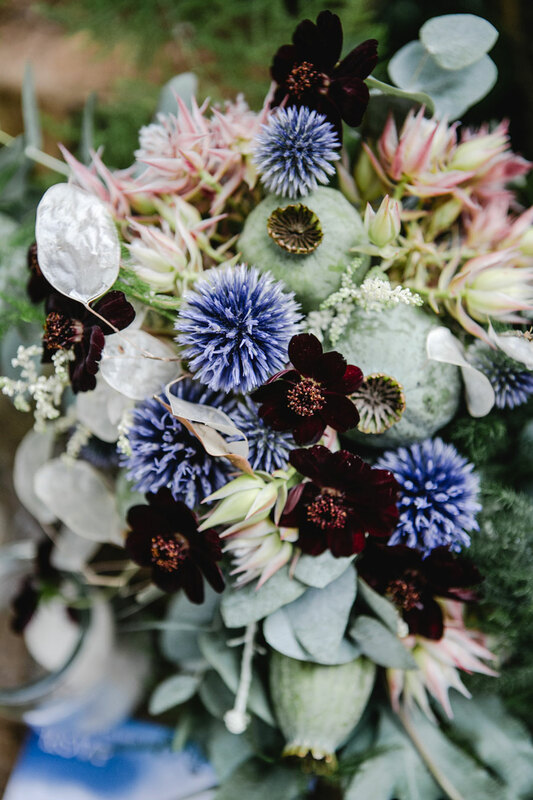 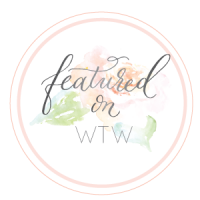 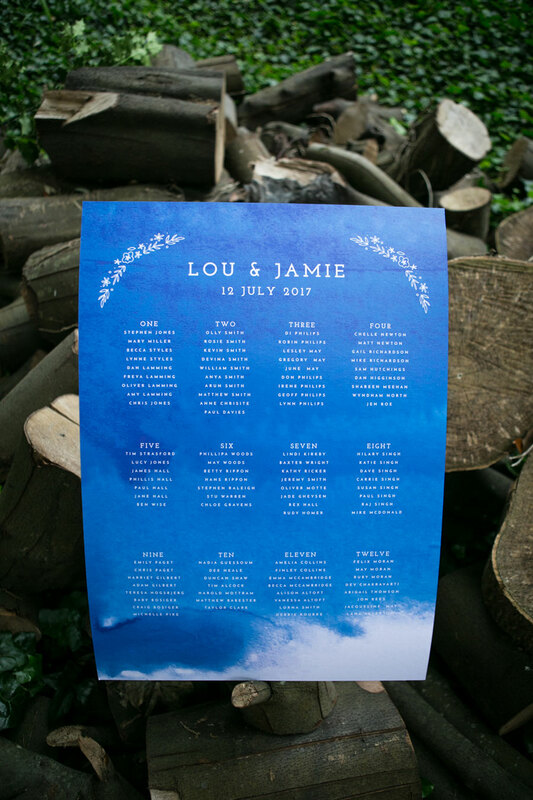 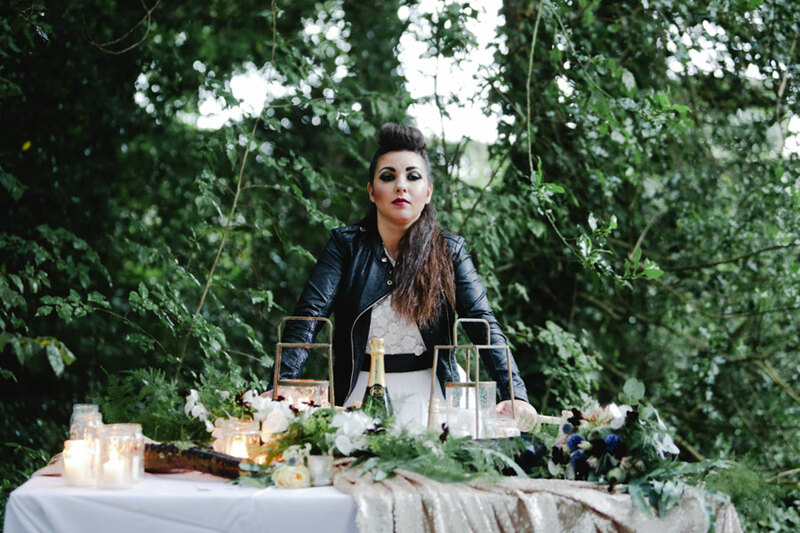 The first a fresh-faced bride with blush florals, mint green watercolour stationery and plenty of rose gold sequins; the second a moody woodland look filled with deep blues, edgy makeup and even a little leather. 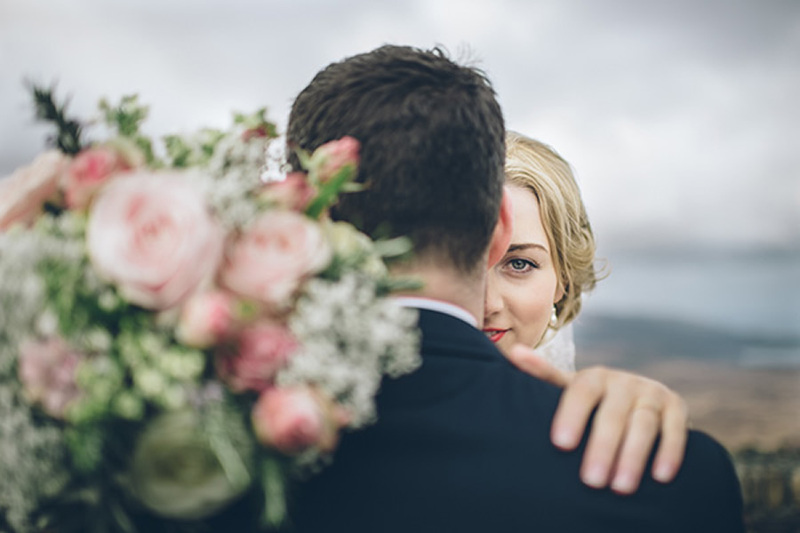 It’s really important to me as a photographer to reflect my couple’s personality on their wedding day; couples spend months (sometimes years!) 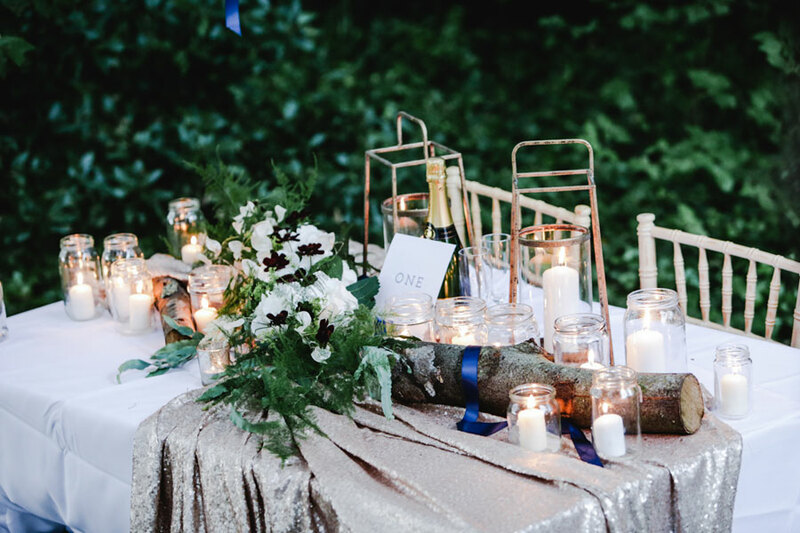 planning their celebration and so I feel like it’s my job to ensure they not only have beautiful memories but that when they look back at their photos they see an essence of their own personal style in their wedding photographs. 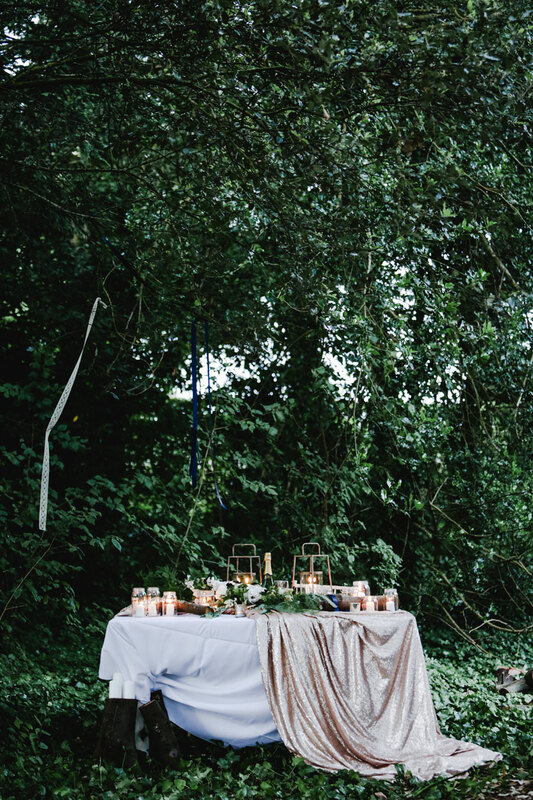 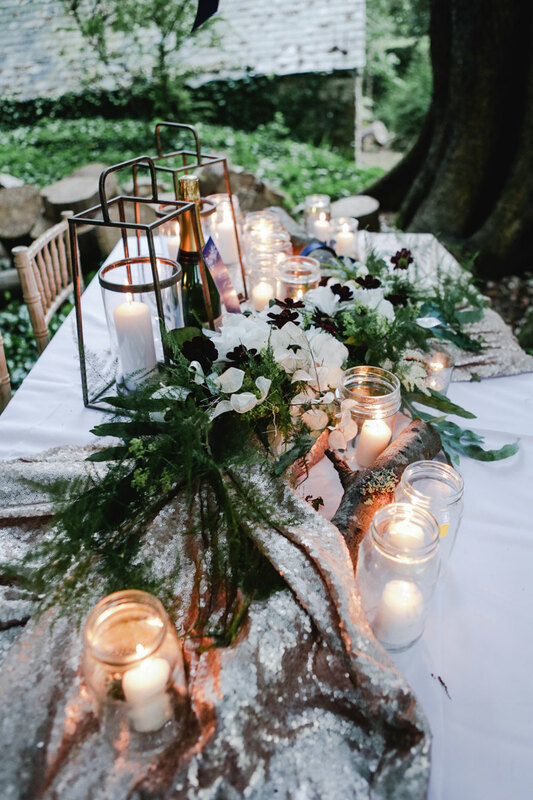 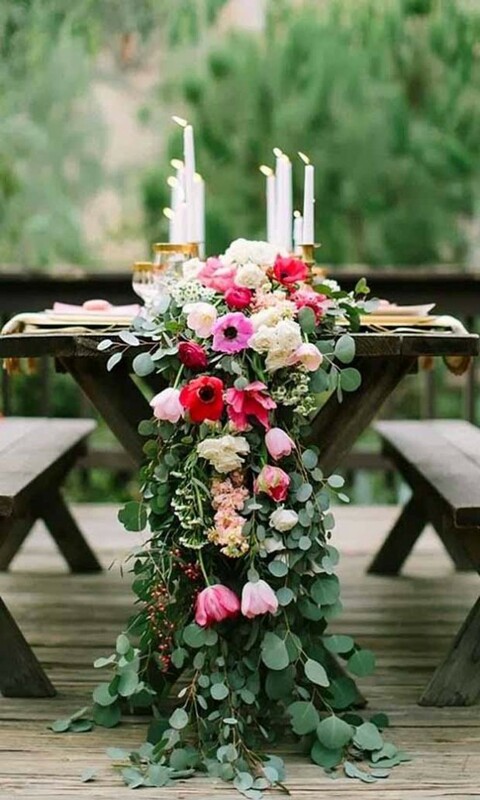 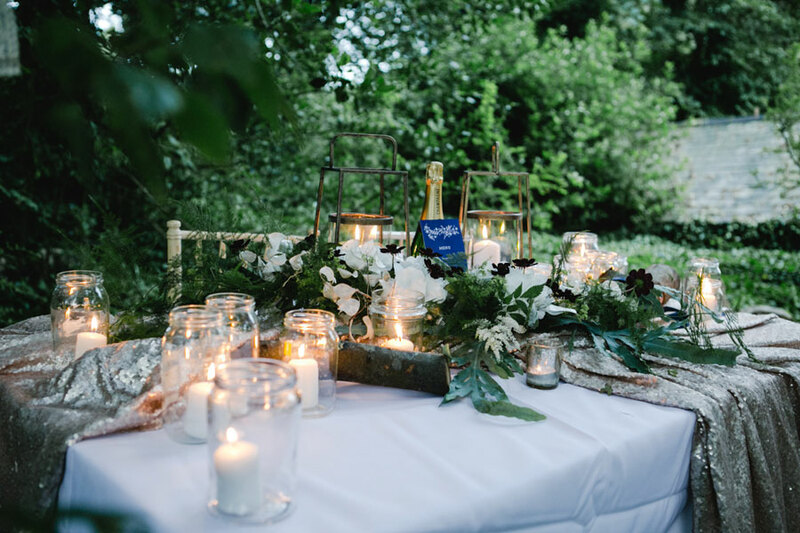 The dark look is all about the drama of the forest, the breathtaking tablescape was styled with candles, found wood and elegant yet edgy florals. 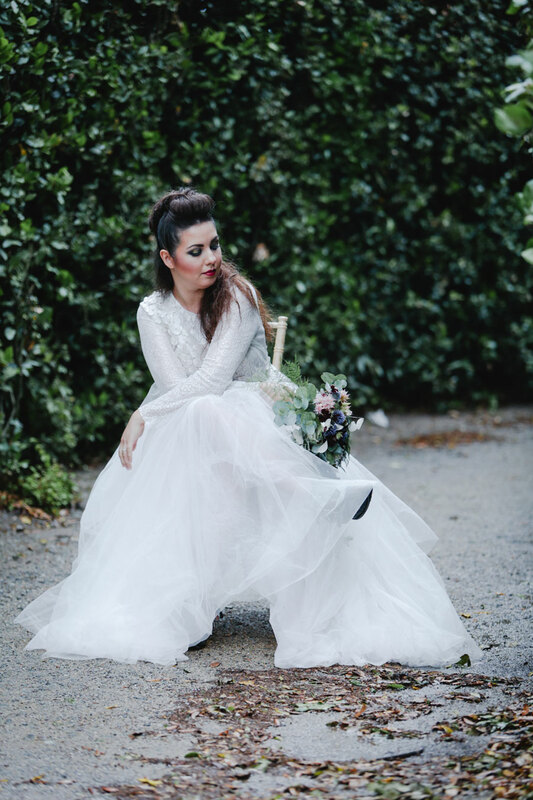 Within a couple of hours the model was transformed with a faux mohawk and studded boots, just visible underneath the Milamira gown. 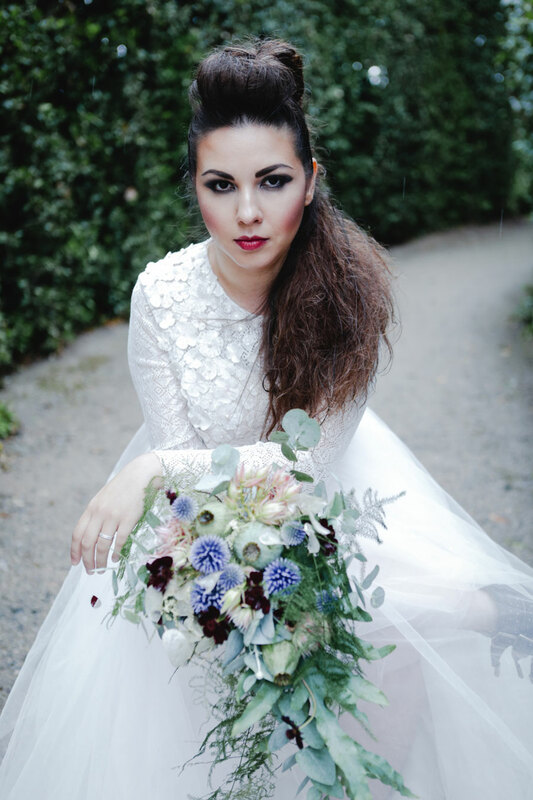 Abi from Dearly Beloved said “For the darker look we wanted to speak to brides who break the mould and who might not feel represented in the softer looks they see in wedding magazines. 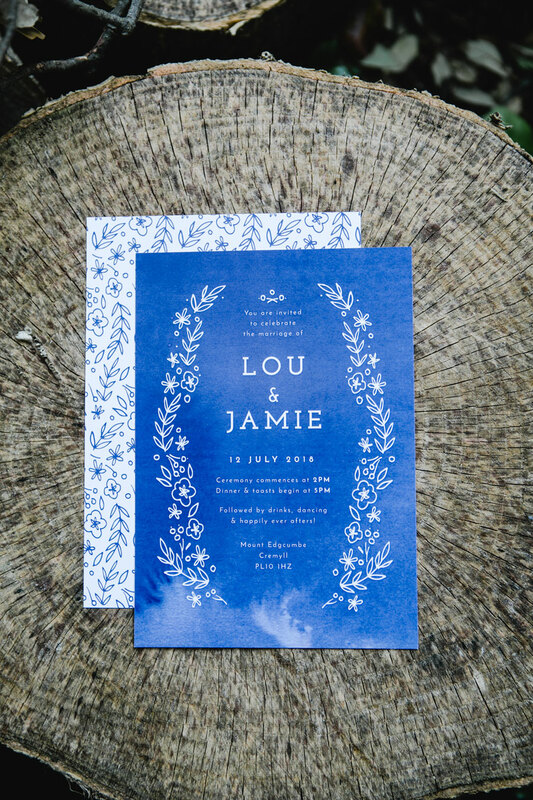 We actually used the same stationery collection (Quartz Watercolour) but in a strong midnight blue. 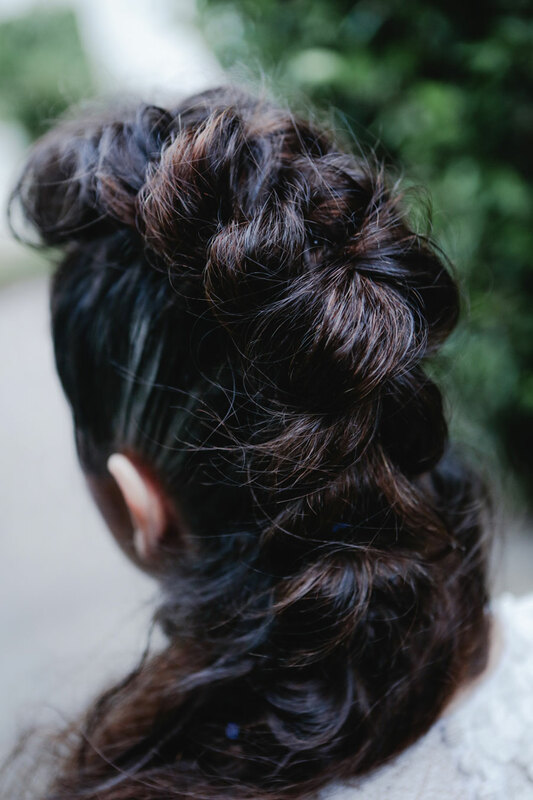 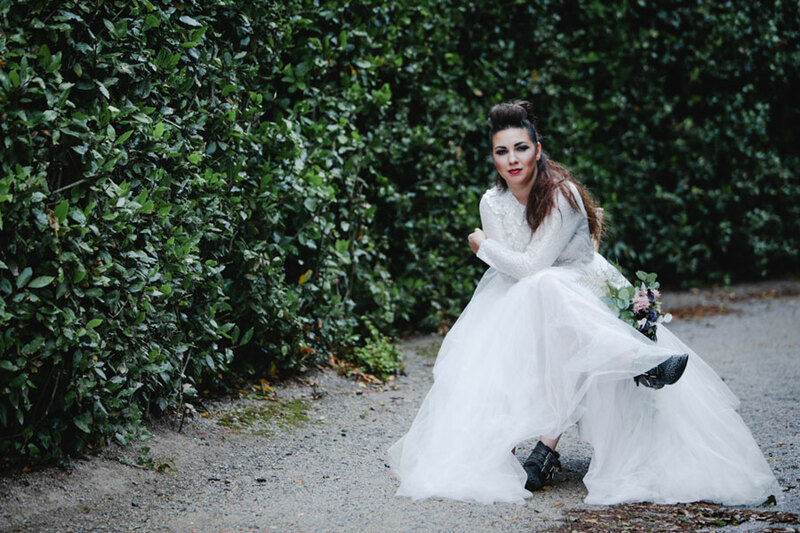 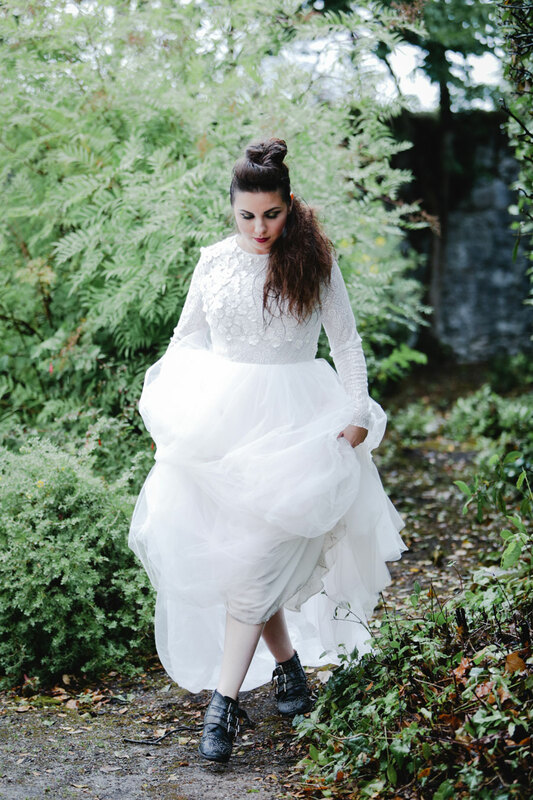 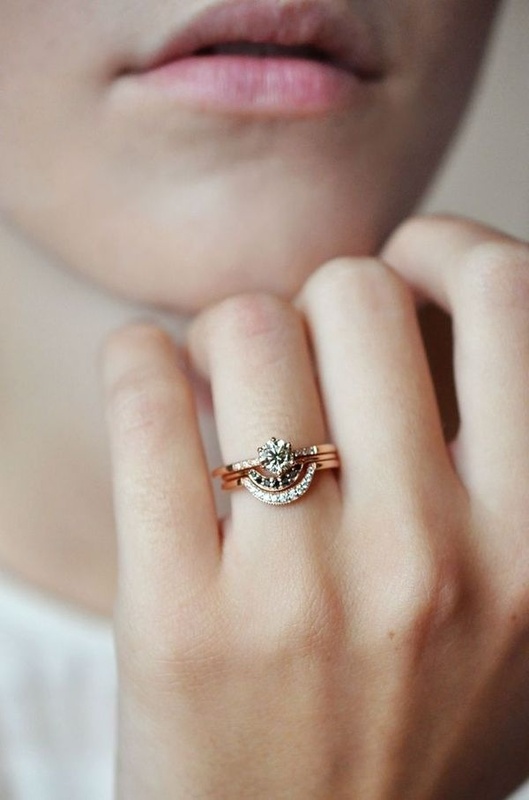 We can imagine brides who are a little more alternative rocking their favourite boots under their wedding dress – still feeling like themselves, but the best version of themselves on their big day”. 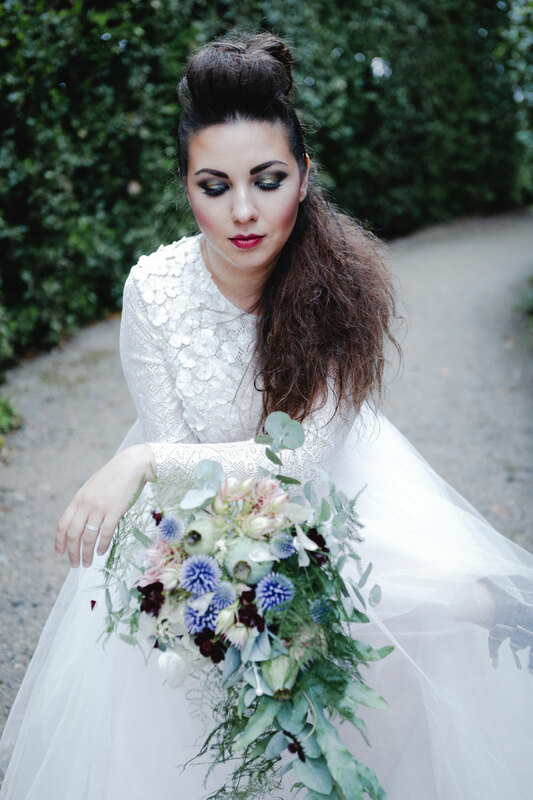 For the Light shoot, the team were inspired by the traditional English garden at Mount Edgcumbe. 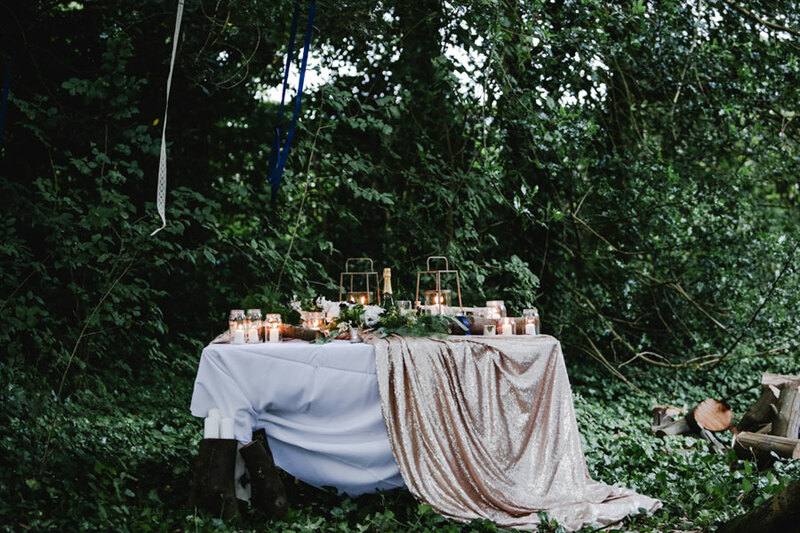 They imagined a couple who love Springtime and fresh dewy colours… but you are gonna have to tune back in on Sunday to see the rest!